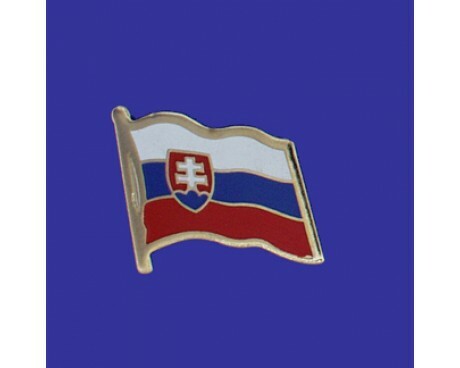 The current flag of Slovakia is both a declaration of solidarity with the other Slavic nations of Europe and a symbol of Slovakian independence. Slovakia flags have not been around for a long time because they represent a young nation, but they draw on a significantly older tradition. The flag of Slovakia has three horizontal bands of white, red, and blue. The nation's coat of arms is also featured on the flag. That coat of arms consists of a red shield that displays a white double cross rising up out of blue hills. The cross is a symbol of the nation's religious heritage, which has been dominated by Orthodox Christianity for the majority of the nation's history. The flag's colors come from the traditional heraldry of the medieval period, and it shares them with other Slavic nations. The similarities between the assorted Slavic flags represent the cultural similarities and history that the nations share with each other. There have been several different Slovakia flags that have represented the nation and its people, even during the times that Slovakia was not an independent nation. Most of the historical flags combined the three bands of the current flag with a symbol or emblem that has varied over time. This style of flag dates back to 1848, when a wave of nationalist revolutionary movements swept across Europe. The revolutionaries did not succeed in winning independence for their homeland, but their flags found their way into the popular consciousness and became symbols of their homeland and the people who lived within it. 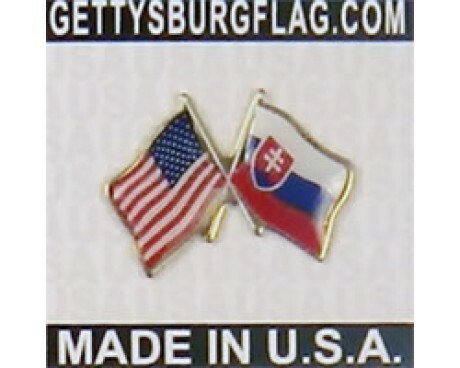 The colors were most notably used on the flag of Czechoslovakia following the end of the first world war, prior to the nation's division into the modern Czech Republic and Slovakia. The Slovak Soviet Republic provided a notable exception to that trend among the flags. The nation existed for only one month, but during that time it used a solid red flag that emphasized its ties to other communist nations rather than its Slavic heritage. The people of Slovakia used precursors to the modern flag in an official capacity for many years, but it was only formally adopted in 1992. It followed a variation that had been approved in 1990 that lacked the coat of arms, which was abandoned to make the flag more distinct from those of foreign nations.